Throughout your first year at university you will be told over and over to make the most of your incredibly long summer holidays. For Biological Sciences students there are loads of options from travel scholarships to summer jobs and internships. It seems a bit full on in your first year to be thinking about all these things ‘that will look great on your CV’ but if like me you are doing a three year degree you will actually only have two summers to fit it all into. This summer I went to the Gatsby Plant Science Summer School and I also did a three week voluntary work placement in the University herbarium and Botanic Gardens. I’m going to do a post about both, but for now I will start with my experience at Gatsby. I heard about the summer school through an email that was sent to all Biological Sciences students and we also had a short talk about it at the beginning of a lecture. It may seem a bit weird seeing as I specialise in Zoology, but I have always had an interest in plants, but as the University of Leicester doesn’t have any plant science specific degrees I hadn’t really had a chance to do that much with plants in my first year. So I decided to apply to go to Gatsby (the application was basically a short statement about why you wanted to go and what you felt you would get out of it) and was one of three students from Leicester that got a place. 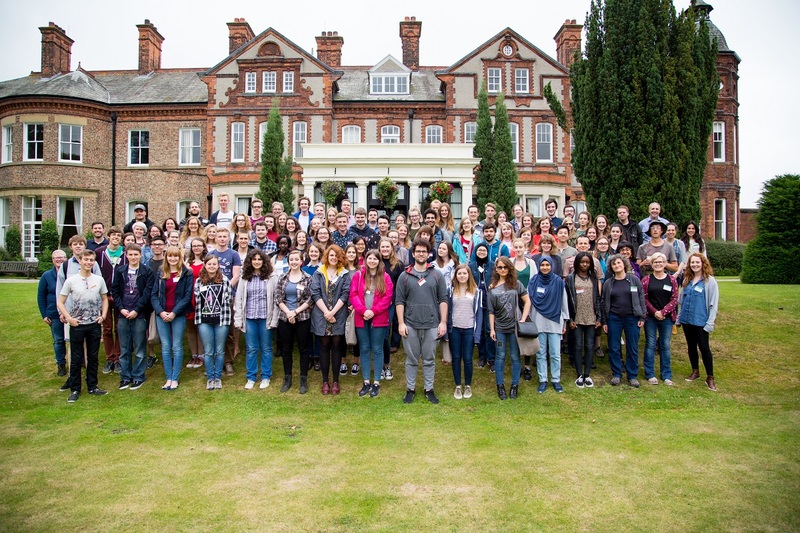 The summer school ran from Sunday to Friday at the end of June and was held in a conference centre near York. It was a great venue, we all stayed on site, basically in a hotel. The rooms were really nice, the food was amazing (especially the banoffee pie) and everything was really close together. If that hasn’t impressed you already it was completely free except for your travel costs to get to York (although you could claim this back as well). There were about 80 students from different unis across the country and it was soo much fun to spend a week meeting loads of new people! It was a really full on week, the first lecture was at 9am every morning, then we would have tutorials, and a Q and A session with the morning lecturer. After this we would have lunch with our tutorial groups and tutor for that day. In the afternoon we had practical sessions, then we had a bit of free time before dinner. After dinner was the last lecture of the day finishing at 8.30pm. Every evening there were social events as well, so all in all it was a really busy week, but it meant that we basically spent all day every day together so everyone got to know each other really quickly. You may be reading this and thinking that sounds like uni but worse, but all the lecturers were world experts in their field and all the lectures were really interesting. I think it helped that they were all about very different topics and were stand alone lectures so it basically gave us all this snippets about different areas of plant science. My favourite lecture of the week was ‘Sensing and remembering winter’ by Professor Dame Caroline Dean. It was all about how plants undergo vernalisation, which is the process they use to sense that they have gone through winter and not just a short cold period earlier in the year. One of my favourite parts of my first year was the labs, so it’s not surprising that I loved the practicals at Gatsby. I mean we got to use a confocal microscope and a SEM!! It was awesome to be able to use these as an undergrad and seeing Golgi run along the cytoskeleton was incredible. We also had a session on Plant ID which was cool to try because it’s a module I’m thinking of taking in my third year and was a big part of my placement later in the summer so it was great to get some basic knowledge of it. Although my pronunciation of Latin is still shocking! All in all it was an amazing week and I’m definitely going to try and do more plant science in the future!